This is going to be my 100th design on my Ravelry page! I feel like I should be celebrating. 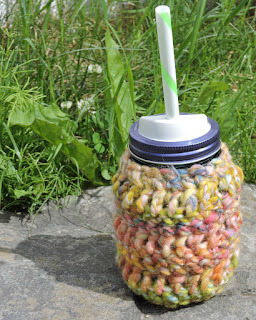 This jar cozy was made using a skein of handspun yarn from a local spinner. It's 6 wpi so the pattern will work with bulky-super bulky yarns. Just check the gauge! 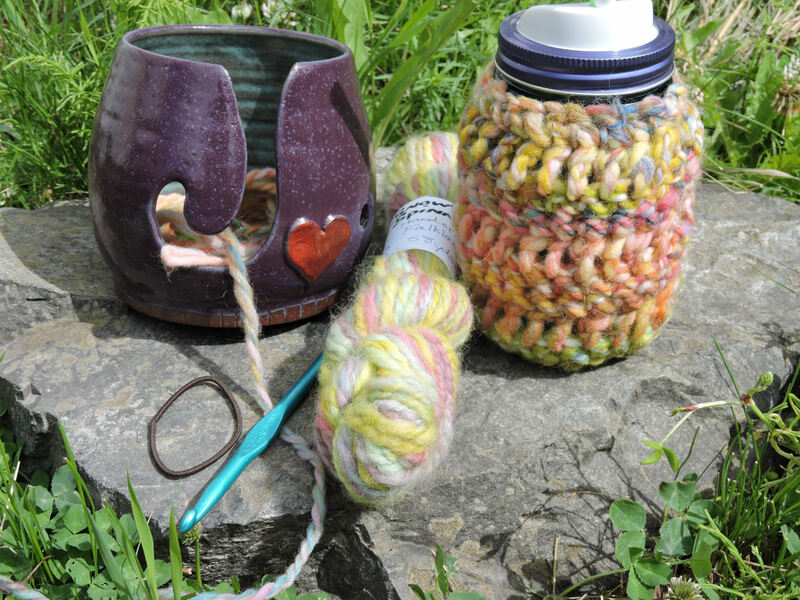 The same technique will work for finer yarns, increasing stitches. I'll be doing a version in a worsted weight cotton soon. I had this half finished and was trying to figure out how to cinch the top so it wouldn't just be a sleeve when I spotted my hair elastics. I put one around the top of the jar and it was perfect! So the last round is stitched around that. no metal thin hair elastic OR strong cord elastic. 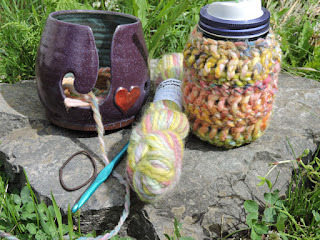 Weave in ends and put on your jar. 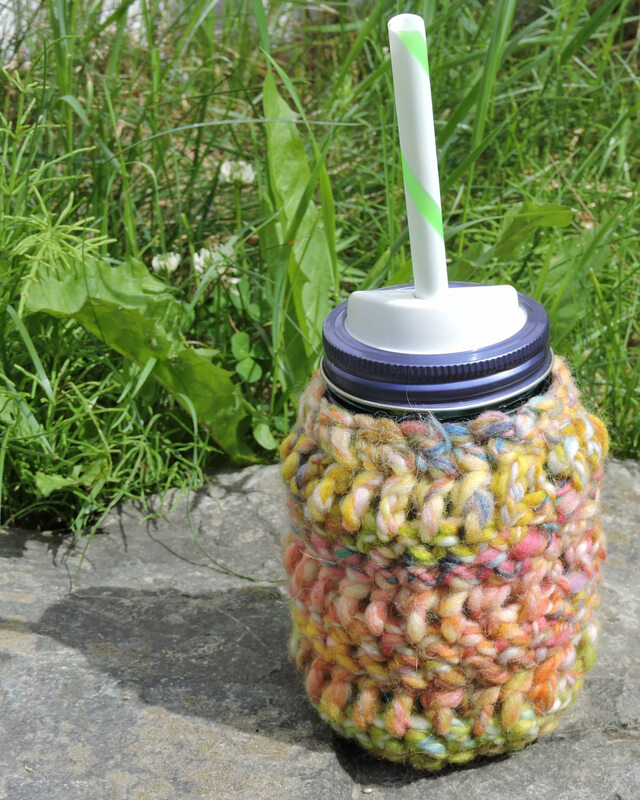 This will help keep cool drinks cool and hot drinks hot.